Use sprue cutters on the main (thick) part of the sprue then use a scalple on the mouting point. Sand off any exess sprue on the part. Just found out that gt models sell a pointed tail k3 body in 1/32 in case you want to do a conversion. Well, knock me down with a feather. That was a good kit with different colour sprues and a chrome sprue too. If it is anything like the ss100 kit it is good but MMM 888 is a bit suspect as a number plate because it is not a triple M car? I thought so. How much did that coast? £10.00, or around that price tag? My guess is aroound the same as the ones on here because although it is smaller it is better detailed. Is that Revell kit, an 'starter kit'? It looks like to me, as it contains a brush and two small pots of paint. Yep, a starter set just less well executed, with just two enamal paints and no thinners! How much is one of those worth? would like to turn one into a p type. Shame the t type had a bullnose derived engine, it really is a nice little car. Well - I have purchased one of these and it duly arrived well packaged from Ian at the Motoring Museum. 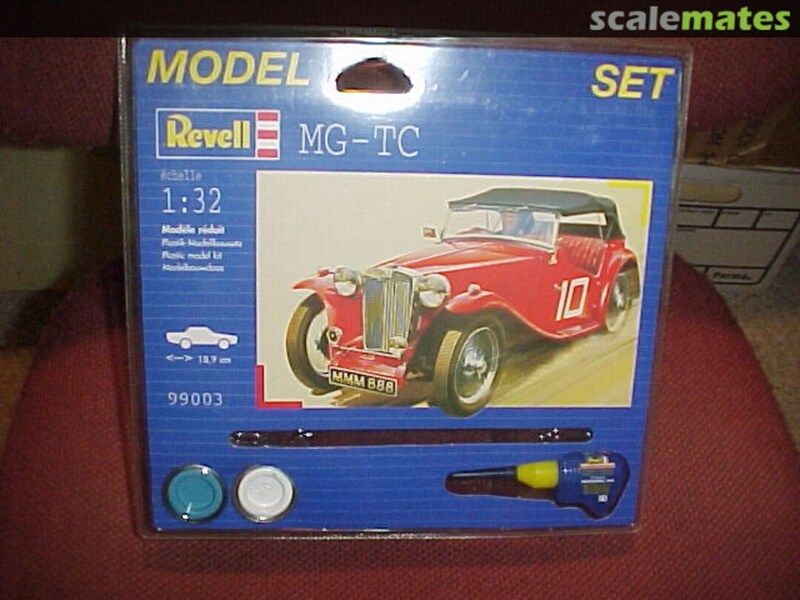 £80 plus p+p is an excellent price for a 1:24 Kit. I was blown away when I opened the package yesterday. Resin Parts and Body Shell neatly stowed in vac form packs. Extensive instructions and even a DVD / CD of build instructions plus other supplementary material. If you get a chance - speak to Ian - and he is more than willing to assist. Ian has provided in a email at least 2 - 3 pages of advice on modelling cars, with links to the help pages on his an his fathers website. Just by corresponding with Ian - it has given me some direction and confidence to build this kit (albeit sometime in 2019). The detail on this kit, wheels, dash etc are amazing - and you should be able to build subtle variants too. I am very tempted to purchase other kits should they make any. When you consider that Airfix Bond Bugs, Marina, Maxi et al are going for >£100 at the moment and they just 1:32 Scale. My £80 on a 1:24 represents value in a sparse U.K Classic car market. In what way, shape or form is £80 cheap? Still nice kit of a nice subject. What about a marina with a piano on the roof?